The Rolls-Royce SUV has begun it's journey into a reality since it was released as a concept model. 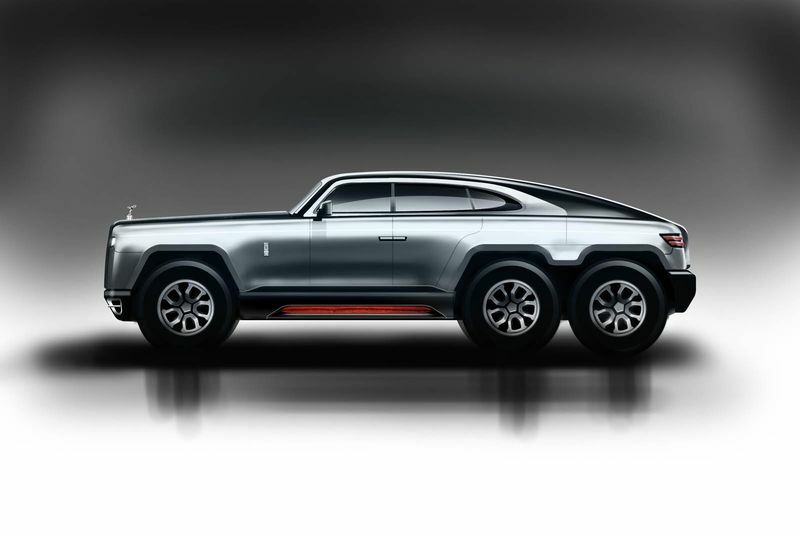 The off-road 6x6 concept was released just before Rolls-Royce's introduction of its first crossover SUV which is due to be released in 2018. The designer of this concept car comes from India and is planning to create a modern three-axle off-road extreme SUV without compromising the elegance that is associated with Rolls-Royce. The concept was inspired by the shape and look of ancient chariots and the majesty and height of Mount Everest. The designer wanted to combine the older, traditional looking models with the modern A-line of newer cars that gives the rear of the car a broader look. In order to keep the length and height of the car, their only solution was to add another axel in the rear to balance the height and length perfectly. The grille of the car remains flat giving the front of the car a flat rise from the ground. The roofline of the car will follow a more conventional, flatter design. Although similar to the design of the Mercedes G63 AMG 6x6, it still keeps the traditional look of the classic Rolls-Royce. Kia Previews Its New Sporty Deep-red Concept Car!